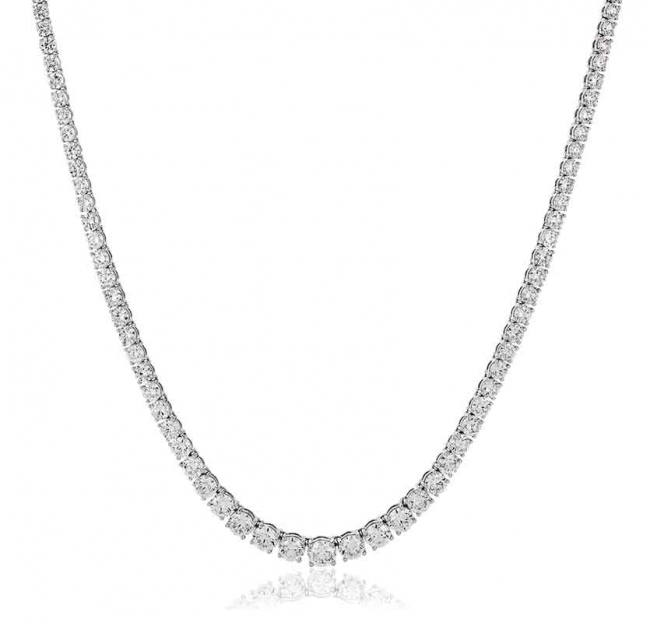 This luxurious necklace is fully set with a total of 6.65ct of round brilliant cut natural diamonds in a classic 4 claw setting. These quality G colour SI1 clarity diamonds graduate in size towards the centre, diamonds range from 0.03ct to 0.23ct. The length of the necklace is designed to sit near the collar bone on average. Delivered free with luxury wooden gift box, authenticity certificate and a 12 month manufacturer backed guarantee.